The Federal Bureau of Investigation (FBI), a federal agency already considered notoriously opaque by Freedom of Information Act (FOIA) experts, is taking steps that will further limit the public’s access to its files. As of March 1, the FBI will no longer be accepting FOIA requests by email. Instead, requesters will have to submit requests via fax, “snail mail,” or to an online portal hosted by the FBI called eFOIPA (Freedom of Information/Privacy Act). The FBI says the portal will “significantly increase efficiency” by automating the process for the receipt of and the opening of requests. As originally proposed, the portal would have placed a series of Draconian restrictions and requirements on FOIA requesters. But there is some good news. 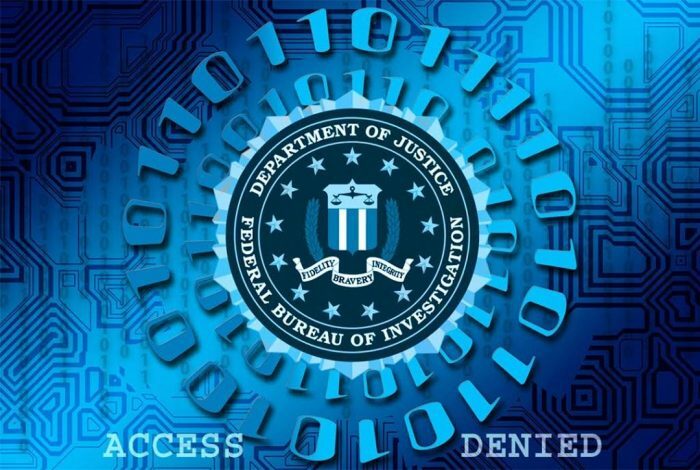 Thanks to a public outcry, the FBI backpedaled on the most severe limitations that were initially placed on requesters who use the eFOIPA portal. Even so, limiting the method by which the public can gain access to government records is troubling to government “sunshine” advocates. Perhaps inadvertently, the FBI’s partial reversal has highlighted the need for and effectiveness of strong disclosure laws. Public knowledge equals public pressure. The portal itself is not necessarily the problem. It is the limiting of requesters’ options that rankles advocates. Attorney Bradley P. Moss — who specializes in matters relating to national security and FOIA — thinks that establishing the eFOIPA portal and eliminating access via email is a “solution in search of a nonexistent problem.” Moss told WhoWhatWhy that although “the online portal is certainly sufficient in its own right, there is no particular reason why the initial submissions… could not also be provided via email.” Moss says he can’t think of any “financial savings” in implementing this new requirement. Scott Hodes, FOIA expert and privacy attorney, also takes issue with limiting requesters’ options. He told WhoWhatWhy that, like Moss, he believes that the more options for requests, the better. While he doesn’t take issue with the use of a portal, he points out that email allows requesters to add attachments and other material that might be relevant to a request. The new policy will do away with that option. As originally proposed, eFOIPA elicited major concerns from experts on government transparency. The Daily Dot, one of the first to ring the alarm bell about the FBI’s plans, highlighted the portal’s “terms of service,” which originally required each requester to include a good deal of personal information — like phone number and physical address and whether the request is being filed inside or outside the US. However, according to the same article, nowhere in the FOIA statute does it say requesters should provide their physical address. The portal now makes providing phone numbers optional. The terms also limited the types of requests that could be submitted through the portal. Requests would be limited to “events, organizations, first party requests (Privacy Act requests), and deceased individuals.” All other requests, including FBI emails or other agency correspondence, could only be requested via standard mail or fax. Users of the eFOIPA portal were also limited to one request per day and one request per submission — each request also limited to no more than 3000 characters. Sen. Ron Wyden (D-OR), a consistent advocate for government transparency, sent the Bureau a letter questioning extreme restrictions placed on the portal and the elimination of email requests. The FBI has been accused of taking a cavalier attitude towards freedom of information requests in the past. An ongoing lawsuit filed by ubiquitous FOIA requester Ryan Shapiro alleges that the FBI intentionally conducts inadequate searches by using an archaic, 21-year-old software system to search FBI records — while the agency has far more sophisticated means of search at its disposal. The effort to limit the choices by which FOIA requests can be made — to a restrictive online portal and technology from the previous century — might be a hint that Shapiro is onto something. Related front page panorama photo credit: Adapted by WhoWhatWhy and Tim Evanson (Flickr / CC BY-NC-SA 2.0).